Publish scores for amateur or professional Lacrosse games to SMS (Text Message), Twitter, Facebook, or email. Just touch change and post the latest Lacrosse score. It's that simple. 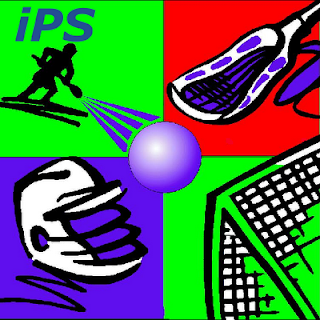 Excellent for parents that have children playing club Lacrosse. It is not always easy for both parents to attend their children's Lacrosse matches. With Lacrosse Scoreboard it is easy to keep everyone informed on the progress of the game using SMS, eMail,Twitter and Facebook. 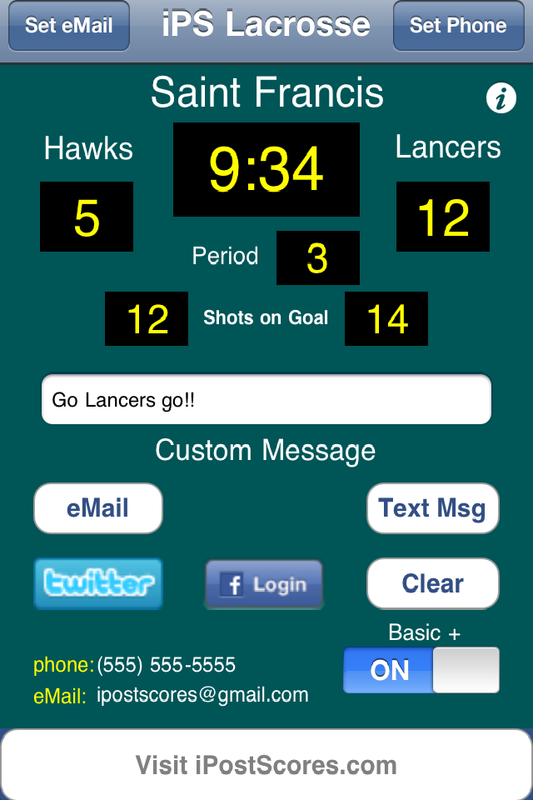 Use the Lacrosse Scoreboard application to post your children's Lacrosse scores for your friends and family to see. Scores can be sent as "Text Messages (SMS)", "eMailed", posted to your "Facebook" page or sent as tweets to your "Twitter" account. Note! Both Text Messages (SMS) and Tweets are limited to 140 characters.